In August 2013, MPR received a call from one our TX volunteers. She knew of puppies in a rural, outdoor shelter who were out of time. Their mom and five fluffy siblings had been adopted, but the three left behind were not eating, and would be killed the following day. Mountain Pet Rescue agreed we needed to save them, and our volunteer headed out for a six hour round trip drive to go get them. When she arrived at the shelter, our rescuer was shocked to realize that these babies were likely 5 weeks old or less, weighed 2-3 lbs. each, and were not eating because the adult kibble was too hard for their developing teeth. They were safely flown to CO the next day, to a loving foster home that was waiting to help them thrive. 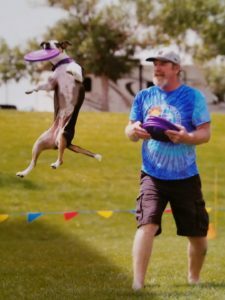 Once old enough to be adopted, these puppies caught the eye of a couple very involved in CO Disc Dogs. After a brief visit, they chose their puppy, declared her name to be Mighty Arrow, and announced that she would become a champion. Fast forward to October 2017 . . . 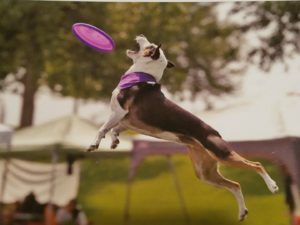 Mighty Arrow was on the evening news as one of the Disc Dog World Cup competitors – an event where each participant pre-qualifies as a champion. 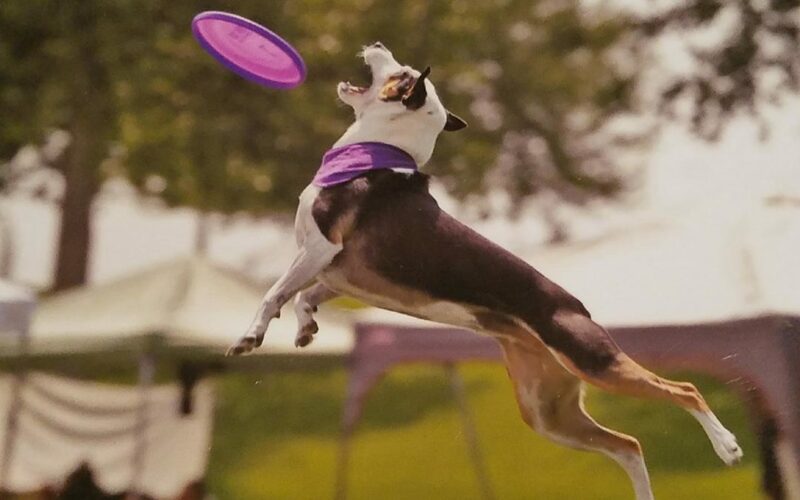 In July 2018, Arrow qualified for nationals and became first in the world in the league toss and fetch! Yes, she is a champion. Even more important to MPR, she is living a life of love and fun – the life she was born to live.